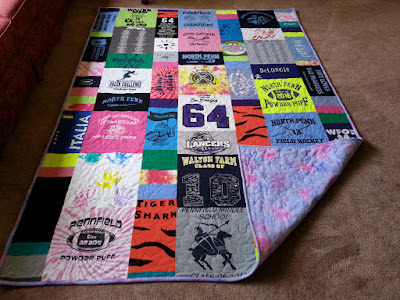 Memory Quilts are perfect gifts for children of all ages-whether he/she is college bound, graduating high school, middle school or elementary school. 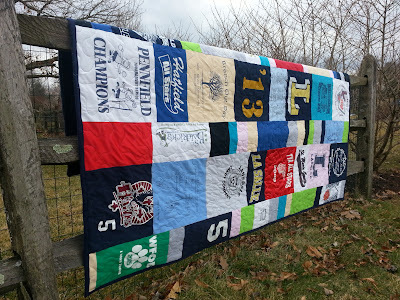 T-shirt Quilts are truly a one-of-a-kind present that will be cherished for years to come! 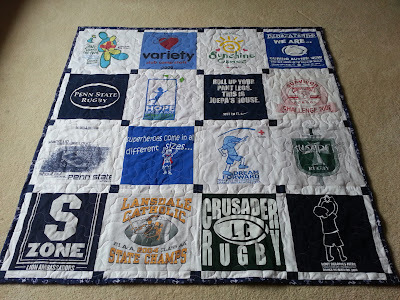 This quilt to the left contains many middle school, high school and college t-shirts! It even contains some of his baseball bed sheets from when he was a child! 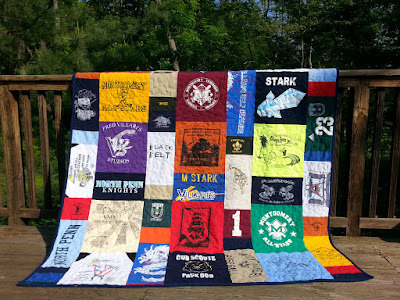 Don't forget: more than t-shirts can go into these quilts! 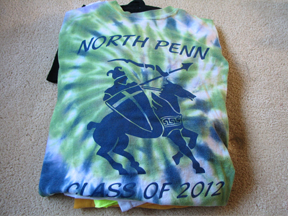 Ties, hankies, bed sheets, varsity letters, any memorable fabric!